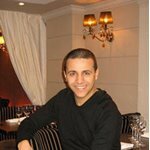 Faudel was brought up in the suburbs of Paris, where he picked up his musical talents from his grandmother, who taught him traditional Algerian music. His grandmother performed regularly with the meddahates, groups of female musicians in Oran who play traditional music at weddings and other family occasions. It was Faudels grandmother who was largely responsible for putting the young boy in touch with his Algerian roots and teaching him traditional Raï rhythms during the summer holidays. 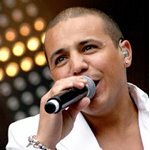 While touring to promote the album, Faudel went on with his career as an actor and took part in a television series entitled Sami. He played a Tunisian student working as a supervisor in a French high school. In February 2002, his partner gave birth to a boy named Enzy. The following year, the singer went back to the recording studio to work on a new album.